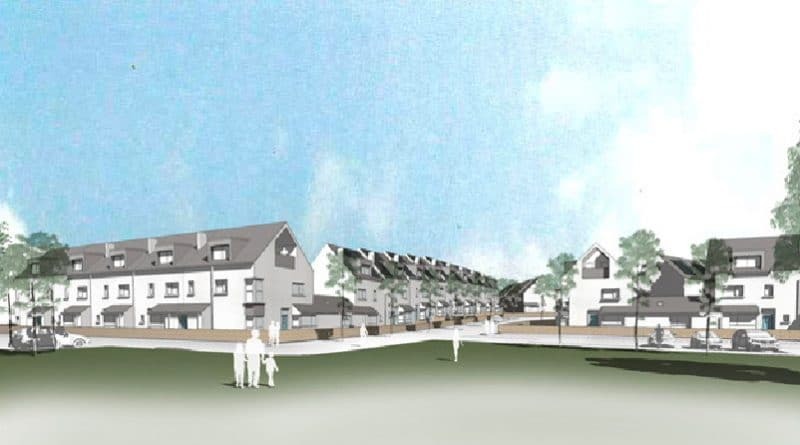 Cork City Council and Conack Construction have signed the main contract on a €16 million social housing scheme in the city which will provide up to 65 new homes, making it one of the largest schemes in the country. 32 three bedroom houses, 24 two bedroom houses, 4 two-bedroom maisonettes, 3 two bedroom apartments and 2 four-bedroom houses will be built at Deanrock in Togher. A community building is also to be developed on the site. Lord Mayor, Cllr Tony Fitzgerald said: “We are delighted to see work begin at Deanrock. This is a housing scheme that residents have campaigned hard for and the community building should be a major resource for them in the years to come”. Cork City Council Chief Executive (CE) Ann Doherty said: “The project is an excellent example of regeneration in a key southern suburb. It is also a text book example of what can be achieved when a strong community group and its councillors work together to achieve an objective”. Cork City Council Director of Housing, Brian Geaney said: “This is a very significant housing project, not only here in Cork but also nationally. This is one of the largest social housing schemes to come on stream in the country and we are delighted to deliver it here in Cork”. Designed by Cork City Council’s Architects Department, the Deanrock housing will be built to an A energy rating which includes top quality insulation, air tightness and photovoltaic panels to reduce heating and electricity bills for tenants. Stoves will also be installed as a back-up heating system. Construction on the site started last month with the scheme expected to be delivered at the end of 2019. Substantial bulk excavation, disposal of existing structures and the installation of a structural sub-base to enable the construction of housing units was completed recently. Site enabling works began at the site in December 2016. These involved the diversion/reconstruction of major utilities, including main water and main drainage and installation of infrastructure & utilities for the proposed housing scheme.